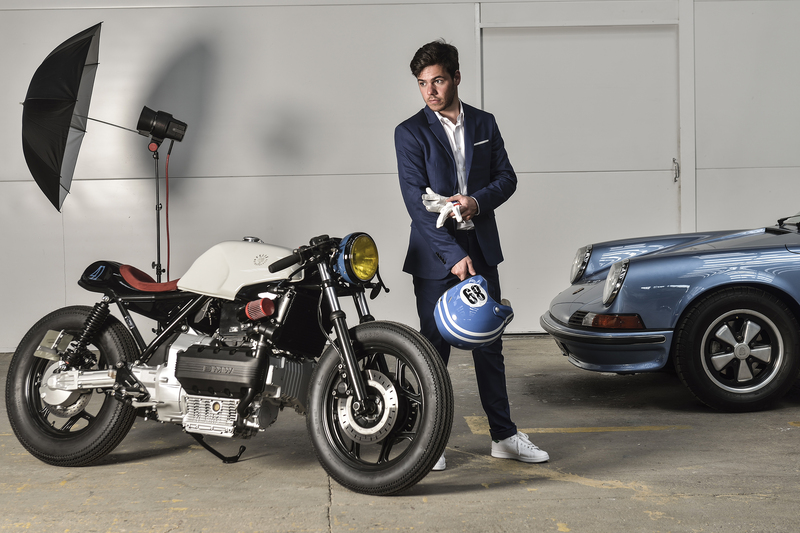 The motorcycle helmet inspired by motorsports. 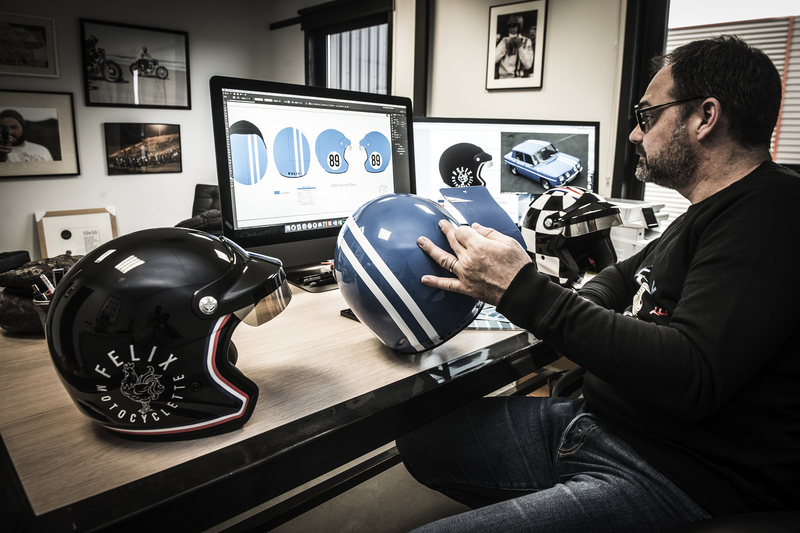 Though Garage de Felix has built its reputation producing truly alluring motorcycles, we’ve also developed an interest in an object used by all riders, regardless of their domain or the number of wheels on their machine: the HELMET. We’re inspired by the competitive arena of the 1970s…for motorcycles, but also in motorsports! 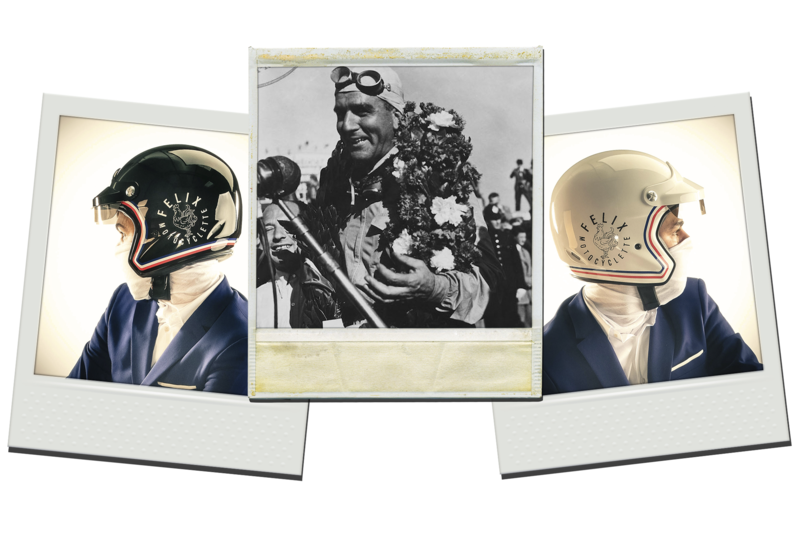 Racing culture is very special to us, and we wanted to revive a bit of the spirit that reigned over the circuits at the time, through a helmet that reflects who we are. The heart of Felix has always vacillated between two- and four-wheeled machines. 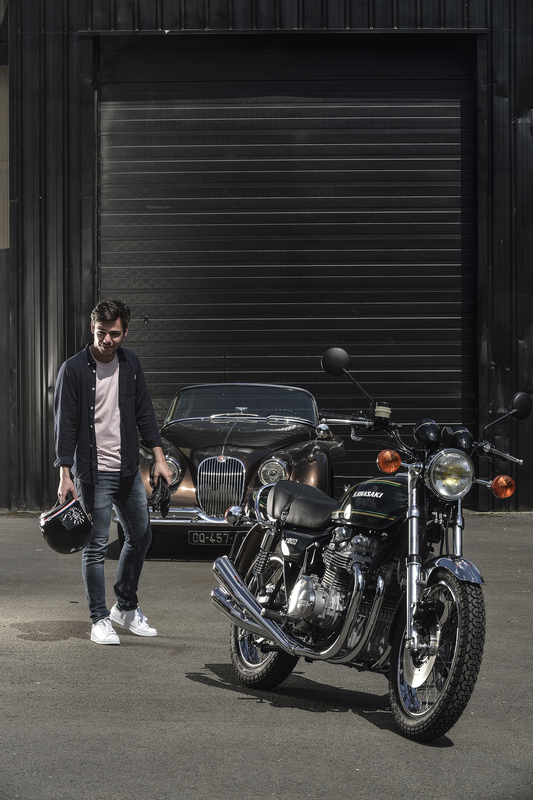 This is why the ST 520, designed for motorcycling, also clearly reflects our ties to the world of motorsports, with the characteristic curve of the shell around the jaw zone and its sun shield. This choice also reflects a clear need for safety, adding this extra protection to the ST 520 that allows it to offer the best of both worlds: open like a jet, but sufficiently enveloping for optimal rider protection. It features all the refinements one would expect from a premium helmet: a fiberglass shell, removable, washable interior in synthetic leather and suede-touch fabric, and optimal ventilation. Still, although the helmet remains crucial for security and comfort, it also reveals the personality of the individual who wears it. We therefore approach the aesthetic aspect, particularly the designs on our helmets, with the same care as when we paint a gas tank. The result should clearly be stunning. Felix draws from the iconography of our country: the rooster, the tricolor flag, or the colors that are an integral part of motorsports, the checkered flag and the French “bleu”. Our helmets are designed for those looking for a different kind of ride.